Flooring is so important for homeowners. Many homeowners prefer going for flooring materials that are water resistant. This makes them more durable, and you don’t have to worry about replacing the flooring, especially when living in humid regions. Waterproof flooring might seem to be too good to be true, but the fact is that there are many manufacturers for this flooring. You might think of the many spoils that might have happened in your house. Think to the times when you could accidentally topple a glass of water or when your child opens a gallon of milk and spills it everywhere. This is where waterproof flooring comes in handy. Essentially, pets, kids, and parties among other spill-inducing scenarios are usually a nightmare for most homeowners. However, waterproof flooring solves these problems. So, what is waterproof flooring? This article highlights what this type of flooring is all about, the different waterproof floors, and the pros and cons. Waterproof flooring is a flooring that doesn't degrade when submerged in water for a long period of time. Water will not harm the floor as opposed to other types of floors. It is the preferred floor choice if you have kids around as it will last longer even when water is poured on the floor. In addition, the coating applied to the floor doesn’t fade when water spills. The composition of the flooring does not break down due to water. Waterproof flooring is versatile enough to be installed in every room of your home including bedrooms, basements, and bathrooms. It can even be placed on an outside patio. However, although this flooring can be waterproof, it doesn’t mean that it cannot be damaged by extended periods of sun exposure when placed on outdoor elements. We do not recommend using waterproof flooring in an outside setting, and it is best for inside the house where you need to protect your floor from spills. For each type of waterproof flooring, there is a set of pros and cons. We have put the list together for you to help you make your decision based on your own needs. This flooring is the newest trend in the vinyl market. WPC could mean Waterproof Core or Wood Plastic Composite. It is a viable alternative as it gives you the rich, sought-after, and expensive look. In fact, it is one of the fastest growing floor covering categories, and when coupled with its beneficial waterproof features and ease of installation, it is a favorite for many homeowners, especially those looking for traditional hardwood without the maintenance. It is also a popular option for businesses and commercial spaces. WPC waterproof flooring has four layers: backing, WPC core, printed vinyl, and wear layers. The backing layer is the backbone of the plank. The WPC core layer is the main attraction as it is made of solid and waterproof WPC core. It doesn’t peel, swell, or ripple upon exposure to water. The printed vinyl layer is for decorative purposes and is the layer that makes it look like wood or stone. It makes this flooring have realistic looks. The wear layer helps protect the floor against dents and scratches. The thicker it is, the better it will protect your floor. It is ultra-durable. It is known for its durability as it features the thickest and most durable luxury vinyl with thick wear layers for scratch protection. It is perfect for imperfect subfloors. 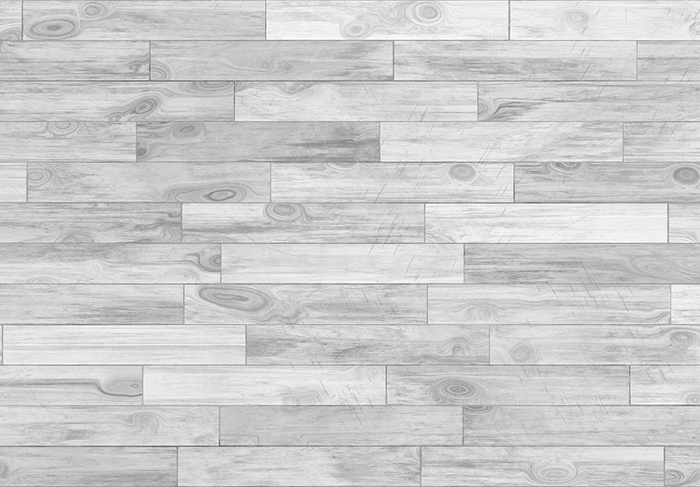 Since it is thick and durable, it hides imperfect subfloors and you don’t have to spend money replacing it when you install WPC vinyl flooring. It is 100% waterproof, which is a guarantee provided by the manufacturers. It has a realistic wood and stone look. The top-end vinyl floors mimic natural materials, which makes them look beautiful and incredibly convincing. It is more resilient than ceramic tiles. Standing on ceramic tiles for long is not comfortable for your feet and joints. Vinyl is more resilient and comfortable. It requires low maintenance; all you need is occasional vacuuming and mopping. Price. It is quite expensive compared to the other flooring materials. However, with the increased competition with manufacturers, the prices are dropping, which will make WPC materials affordable. But it is still expensive than hardwoods. It is commonly used in bathrooms compared to other flooring options. The top side is typically made of a durable glaze that doesn’t let liquids seep through, making it an ideal choice to waterproof your bathroom. It is relatively easy to clean. It is available in many different and attractive designs. It features mosaic and decorative styles and also comes with options that mimic wood and stone, which offers a convincing alternative to the more expensive stone/wood choices. The material is impenetrable and doesn't let liquids soak in, which means easier maintenance and cleaning. It has a gorgeous imagery that mimics natural stones and wood. It is 100% durable and doesn’t need extra work. It can be used in any room and in any space in your home from the bedroom to the kitchen. It’s cold underfoot making it uncomfortable, especially during winters. It doesn’t retain heat. It is challenging when it comes to installation. In most instances, you’ll need a professional when installing for the first time or replacing. 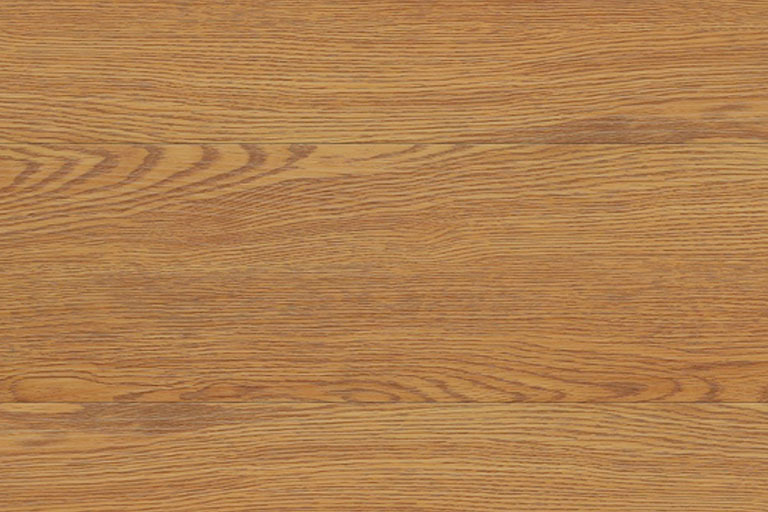 Laminate flooring is easily confused with vinyl flooring. While vinyl has a natural resistance to moisture and water, laminate flooring is more susceptible to damage with a high moisture content. Laminate options are being released as competition to vinyl. However, the traditional laminate is less waterproof and swells and stains, making it unusable and unsightly. However, the waterproof laminate is more water-resistant than fully waterproof. Newer technologies have improved its waterproof qualities. 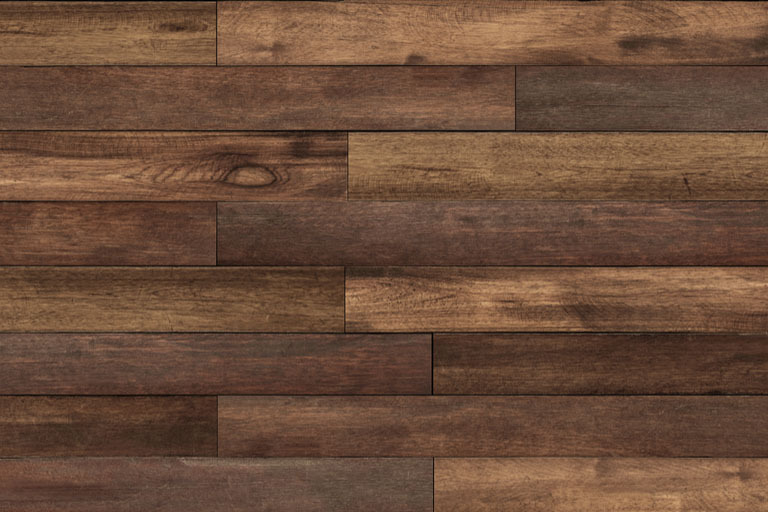 Laminate can be manufactured with beautiful visuals that are realistic, making it similar to waterproof wood flooring. Besides, you can laminate the floor during installation, but this adds up in regards to money and time. It is better to buy the product already laminated. It has realistic wood looks that are so convincing to homeowners that you cannot tell the difference between it and solid hardwoods. There is quick and easy installation. 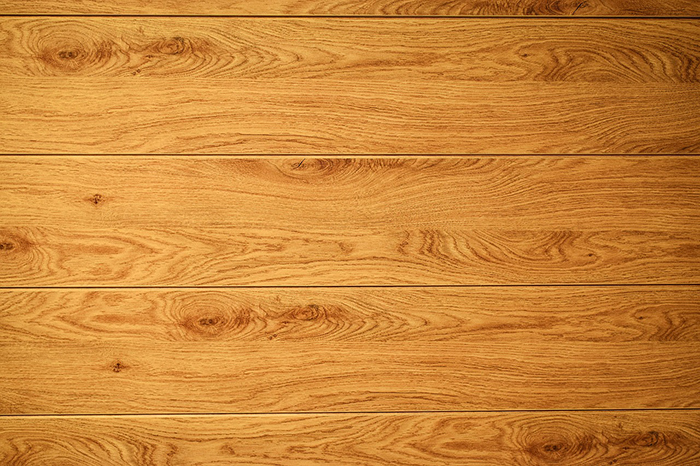 The laminate flooring typically comes with interlocking planks, which makes it easy to install. It increases your resale value. Laminate has realistic wood looks and a great reputation, making it a preferable choice for homeowners purchasing the property. It is perfect for imperfect subfloors. Just like WPC vinyl, the laminate option is built sturdily to be installed on imperfect subfloors and hide them perfectly. 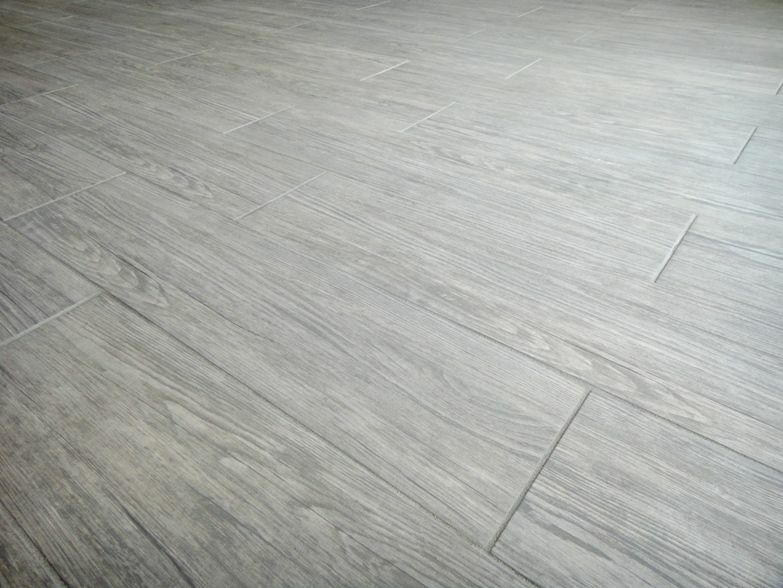 Even though laminate is one of the most expensive flooring options, the waterproof laminate is expensive, in fact, more than WPC vinyl flooring. WPC vinyl flooring is increasingly becoming popular than laminate flooring. Waterproof laminate flooring is quite new, and there are no options to choose from. Selection is limited. Manufacturers, like Shaw, are making waterproof carpets. Shaw patented its RX2 technology and Lifeguard backing, and it lets nothing penetrate the carpet. 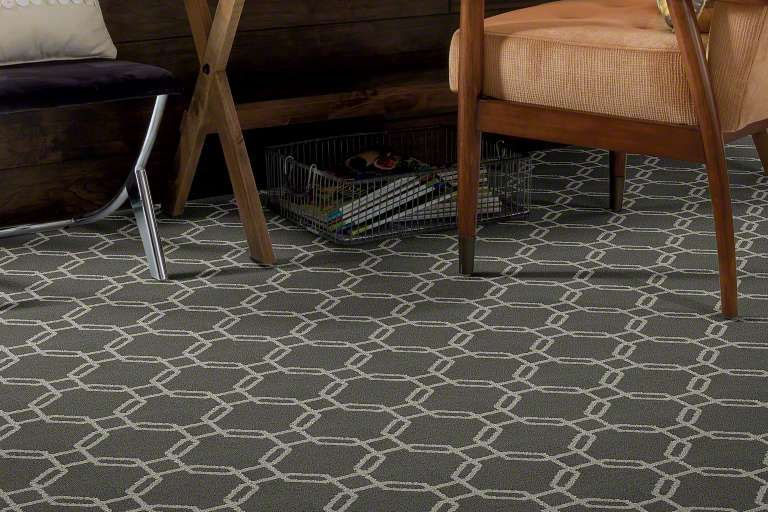 The RX2 is soil and stain repellent and protects carpet fibers from spills and dirt. Spills do not reach the base of the carpet. Lifeguard backing is made with 100% thermoplastic backing, and no liquid can penetrate that. No mildew and or mold forms on the carpet. Make sure that the carpet is waterproof. There are carpets that are water-resistant but not 100% waterproof. They are more expensive than other carpet types. 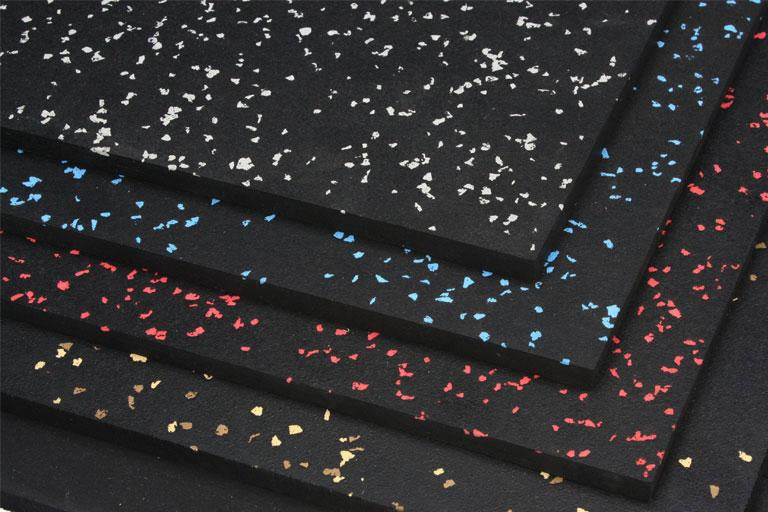 Rubber flooring is another growing trend and comes in many sizes, colors, shapes, and styles, which gives you options to select from. Most of the rubber floors come from recycled car tires. Rubber is naturally resistant to water and provides traction in wet conditions. It doesn't absorb water and is perfect for basement flooring where a lot of flooding happens. There is high resilience since it is designed to give a bounce back, making it comfortable for the feet and joints. Mold and mildew won't grow, making it a great choice in water-prone areas. It is slip resistant even when wet, which makes it a safer option. There is easy maintenance as it is easy to clean and maintain. You can use a vacuum or a damp mop. It is heavy for installation. For example, large rolls can be difficult to maneuver without resistance. It has a non-traditional look. While it is popular in gyms and industrial basements, it is not the best choice for homeowners. Waterproof flooring is the new trend for most homeowners simply because you don’t have to worry about spoils anymore. Besides, there are many options, styles, and varieties to choose from based on cost and preferences. These include WPC waterproof vinyl flooring, waterproof ceramic & porcelain tile flooring, waterproof laminate flooring, waterproof carpet, and waterproof rubber flooring. Each, however, has benefits and drawbacks, which you should consider before buying as highlighted in the pros and cons sections we have outlined. We hope that this article has adequately addressed what waterproof flooring is, the different types of waterproof floors, along with their pros and cons.